Ibn l-Shaykh Abī Bakr bin Sālim. Modern times have made it even more important that Muslims acquaint themselves with their Prophet ﷺ, not only for the sake of their personal spiritual development, but also for the sake of the religion as a whole. There has perhaps never been a time when the world was more in need of an authentic depiction of the Best of Creation ﷺ. 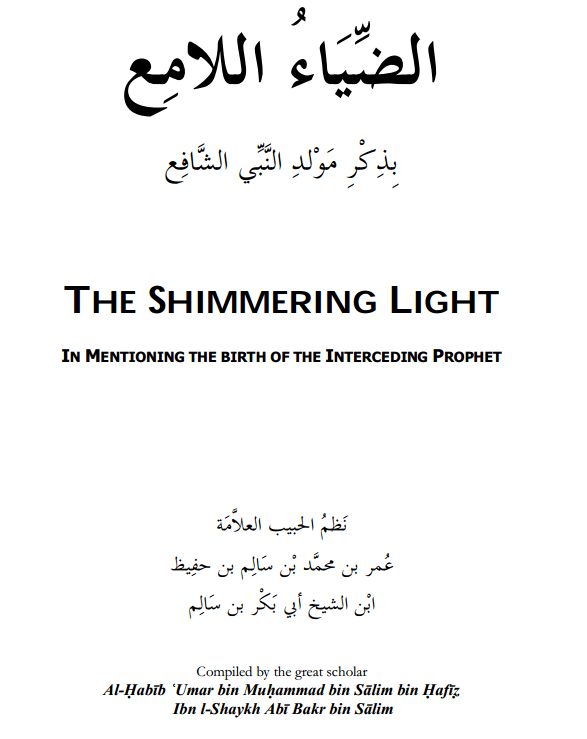 ‘Our Master Muhammad, the Messenger of Allah ﷺ’ is a unique work discussing the noble qualities and characteristics of the Final Prophet ﷺ in a way that is infused with love and devotion. In the first volume of this book, the author depicts all the fine attributes of our Prophet ﷺ with respect to his physical beauty, his eloquence and wisdom, his exalted status, his sublime character and his mercy ﷺ. This incredible expression of Prophetic love was written by the scholar of Aleppo, Imam ‘Abdallah Sirajuddīn al-Husayni (ra), who was not only a Hafiz, a leading scholar of Hadith and exegete of the Qur’an, but also a true Saint, referred to by scholars as ‘The Pole of Prophetic Love of our Times’. His book is the product of true scholarship and virtue.